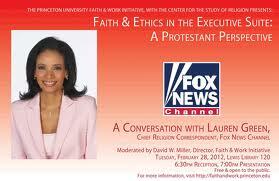 ACCORDING to the Fox News religion expert, Lauren Green, you can only write about Jesus if you’re a Christian. This explains why only ex-footballers are allowed to talk about soccer on Fox, Republicans are only able to discuss their party with any insight and Fox’s roving reporter ZogH1 is the leading authority on space travel. Richard Bartholomew looks at the idiocy. ONE does not expect much from Fox News at the best of times; but a recent interview with Reza Aslan has – deservedly – come under particular mockery for the interviewer’s ignorance and bad faith. The interview was conducted by Lauren Green, who is described as being “a religion correspondent” for Fox, and it concerned Aslan’s new book Zealot: The Life and Times of Jesus of Nazareth. Green appeared to no know little of the book or of scholarship in general, and the segment consists exclusively of her demanding an explanation from Aslan about why a Muslim would write a book about Jesus. We all understand (at, least, over here in the UK) that a news interviewer’s job is often to take a hostile and sceptical line, even if that line is not particularly strong, but that’s not the same things appearing to be clueless. Throughout the interview, Aslan attempted patiently to convey to Green the nature of academic study. He made it very clear to her that his book is located within a scholarly debate, and that the book is not based on any kind of Islamic agenda. In particular, he stated that the book calls into question the historicity of the Virgin Birth, which is an Islamic as well as a Christian belief, and that the book rejects the Islamic teaching that Jesus was not really crucified. …As a sincere man, Aslan’s Muslim beliefs affect his entire life, including his conclusions about Jesus. But this is not being disclosed. “Zealot” is being presented as objective and scholarly history, not as it actually is—an educated Muslim’s opinions about Jesus and the ancient Near East. Judging from a quick browse of Aslan’s text on Amazon, it appears to me that Aslan’s perspective on the historicity of Mark is temperate and completely in line with mainstream scholarship and the understanding of educated Christians – which is that the text is assembles earlier traditions, and is written in a certain way in order to make a particular point. “Trust” is a complete red herring. Aslan has scholarly credentials, but he’s not a specialist in this area (his PhD dissertation, under Mark Juergensmeyer, was on global Jihadism and transnationalism), and I’m generally sceptical when a book gets promoted ahead of others in the same field due to an author’s public profile as a commentator. However, to risk stating the obvious, Aslan’s arguments and use of evidence need to be judged against the work of other scholars. Academics who have written on the historical Jesus come from all kinds of faith backgrounds; there are no grounds for dismissing Aslan, much less for insulting him as “not being honest”, just because he happens to be a Muslim academic. His bibliography runs to ten pages, and shows a broad familiarity with standard scholarly books and articles on the subject (albeit all in English only, from what I could see); he also has around fifty pages of notes, which begin with an appreciation of John P. Meier‘s multi-volume study on Jesus, A Marginal Jew. Robert Spencer is a writer without peer and a nonpareil scholar, the author of 12 books on Islam, jihad and related topics, including two New York Times bestsellers. Yet “Did Muhammad Exist?” was ignored and dismissed by the intelligentsia, the media elite and subversive academia. 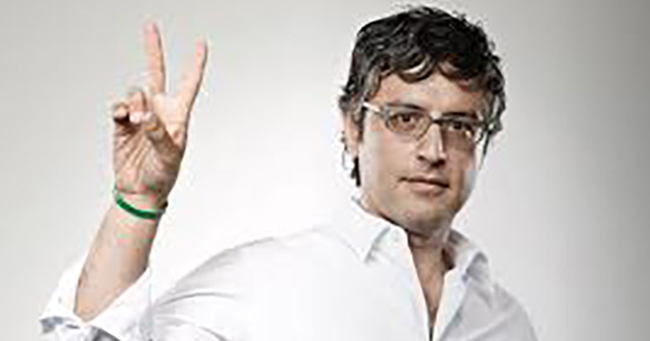 …In what can only have been inspired by the Goebbels template, Reza Aslan will not only be on the Bill Maher show and “The Daily Show,” but this subversive lowlife will be speaking at universities like NYU, Ohio State and the University of Southern California, as well as at numerous public libraries and (gasp) synagogues like Temple Judea in Palm Beach, at upwards of $30,000 a pop. Despite denying basic Christian doctrines, he is speaking at several churches and even preaching the Sunday sermon at one. …[Although] “Did Muhammad Exist?” is a straightforward, dispassionate historical investigation, the media treated it as if it were the one that was designed solely to denigrate and disparage the founder of a religion. That is not true of Spencer’s book, but it is true of Aslan’s screed “Zealot.” Yet the media never comment on the derogatory title of Aslan’s book. It is just fine with the media to speak negatively about Jesus, deny his historicity, deny his importance, denigrate his teachings and more. But any true word that is spoken about Muhammad, whether it be about how he is depicted in Islamic texts or about the historical value of those texts, is viciously attacked. The argument appears to be that because Aslan is a Muslim, we must assume that his book was written as an attack on Christianity; yet it is wrong to assume that Spencer – who makes a living polemicising against Islam – probably has a polemical intent. I don’t know if Spencer’s well-deserved reputation means that his book was unfairly dismissed despite putting forward a serious case – although given what I know about Spencer’s shortcomings (e.g. here, here and here) I’d be surprised if it’s any good. But if Spencer was overlooked by “media elite and subversive academia”, conservative allies more than made up for it; the book’s designated website on the publisher’s page (the conservative ISI Books) carries quotes from various positive reviews from sources such as The Blaze and PJ Media. if you don’t believe that Jesus Christ is the savior of the world, that’s fine. That’s fine. No biggie. Go your way. I’m going my way. I happen to believe it. And there is no doctorate that could ever be given to me that would actually prove otherwise. Because you learn that through faith. You learn that through an individual testimony. I got one. You don’t have one, you should find one. You don’t want one, that’s fine. I don’t really care. Stop telling me who Jesus was.